“Some years ago a lady familiar with my show and orchestra told me about Ricky Medlin Jr and his singing voice. I checked him out, spoke to him by phone, and the next thing you know he is standing in front of our orchestra on one of my shows giving the audience a true listening thrill. I was knocked flat on my back when I heard the vocal power, sincerity and truly marvelous sound this young fellow shared with the audience. 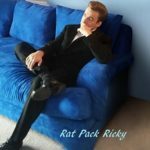 Ricky’s respect for the great singers and songs of the golden age of popular music is truly refreshing and when I hear him sing I am quickly reminded of my early years as a band vocalist when I had a pretty hefty set of pipes in those green years. How I envy the power and control Ricky applies to his voice. “I would like to take this opportunity to express my sincere appreciation for your unparalleled support during the 2016 Edwards Air Force Ball. The event was a complete success and the feedback from leadership and attendees was overwhelmingly positive. To successfully provide entertainment to an event of this size and scope takes months of preparation and the hard work of many individuals. I attribute the success of this event to your strong performance and the dedicated team supporting your presentations. 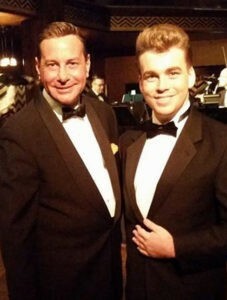 I would like to extend a sincere thank you to “Rat Pack Ricky” for his exceptional support to the military and truly wonderful talent. His generosity towards the mission of the Flight Test Historical Foundation; preserving the unique heritage of Edwards Air Force Base was simply stunning. 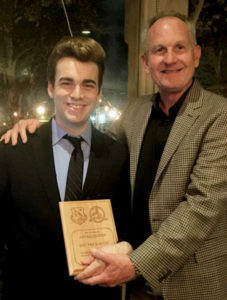 He entertained a packed house at the last Excellence in Aviation event at the Proud Bird restaurant, which recognized the contributions of the 163d Attack Wing in their work to assist in the horrific Rim Fire which devastated the Yosemite area. His support to our installation and the military in general, is warmly appreciated. Please convey my thanks to Ricky. Additionally, I know this kind of support does not come in a vacuum, so my thanks to the entire “Rat Pack” team as well for empowering this exemplary community support.